Everything they need for much needed R & R. Something sweet for immediate satisfaction, reading material to pass the time and a plush to cuddle with. 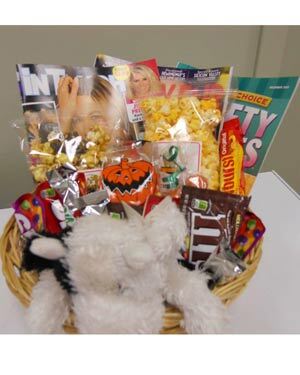 These baskets are totally customized, so call us 502-583-4933 and we will build the perfect basket. Click the button below to add the A Little R and R Please to your wish list.